Tenet Healthcare & Fountain Valley Regional Medical are seeking a Board Certified Critical Care Intensivist to join our team in sunny Fountain Valley, CA. We have an opening to add a physician to the group which provides full inpatient ICU coverage. The practice is made up of 11 members, so we are setting up interviews with candidates who have a solid work-ethic, strive to provide the highest quality of patient care and can be productive within an established team. Fountain Valley Regional Medical Center is a 400-bed acute care hospital in Orange County California. It has successfully served the health care needs of its local communities for more than 45 years with comprehensive, compassionate and award-winning care. Candidates must be BE/BC in Critical Care Medicine and eligible to obtain licensure in the state of California. 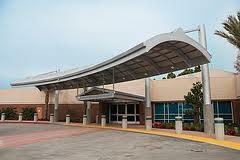 Fountain Valley Regional Medical Center is one of the most comprehensive medical facilities in Orange County. We're known for our quality cardiology, neurosurgery, bariatrics, orthopedics/spine and women's and children's health services.